How Big and Expensive Is a 3 kW Solar System? Thinking about installing a 3kW solar system? If you are not quite sure exactly how big that is, let alone how much it’s going to cost you, we’ve got you covered! Below, we lay out exactly how big a 3kW solar system is, looking at how much electricity it can produce as well as how many panels you’d need. We also take a look at the costs of a 3kW solar system and – most importantly – how much you can save. Still have incandescent bulbs? 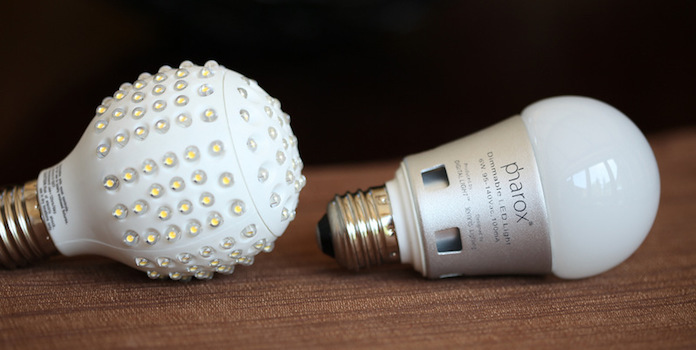 Trade them out for LEDs – the light color and quality is virtually indistinguishable from incandescents now. Still using that old refrigerator from your parent’s basement? Replace it with an Energy Star version. Dollar-for-dollar, efficiency measures like the ones above are the cheapest way to save money on your utility bill – even cheaper than installing solar! And the less electricity you use, the smaller your solar installation can be. This lets you avoid spending money you don’t need to, saving you even more in the long run. So before you go solar, think efficiency first! How Big Is a 3 kW Solar System? Now let’s get to the meat of this article. Let’s look at the size of a 3kW installation from a few different perspectives. What does 3 kW actually mean? 3 kilowatts (or kW) is simply a measure of how much electricity your solar system can produce in a single instant. It’s just like how your LED light bulb uses 9 watts of electricity. Instead of consuming energy like your light bulb though, your installation actually produces that amount of energy. 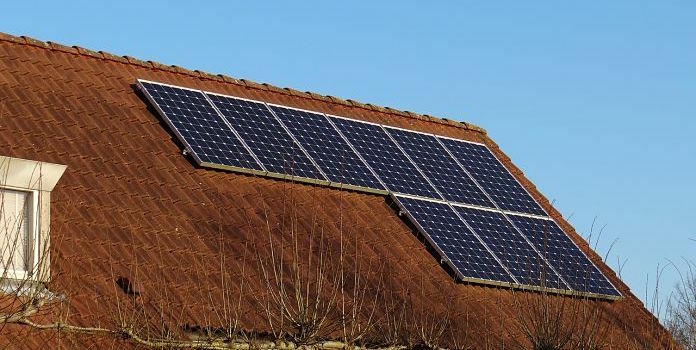 In a perfect situation, where your installation is completely efficient and the sunlight is strong, your 3 kW installation will produce 3 kilowatt-hours (kWh) of electricity in a single hour (3kW X 1 hour = 3 kWh). In 5 hours, it will produce 15 kWh. 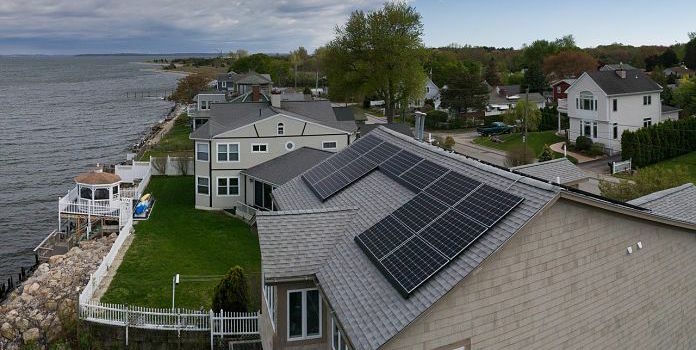 The average US household uses about 900 kWh each month, or about 30 kWh a day, so a 3 kW installation would produce enough electricity to cover about half of most people’s electricity needs. Unfortunately, though, we don’t live in a perfect world. 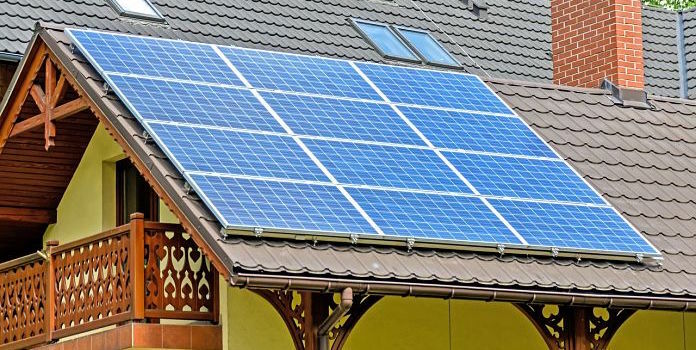 In the real world, many factors actually drop the amount of electricity your system can produce: shade, location, the direction of solar panels, and even the efficiency of your wiring and inverter. After taking your personal situation into account, the amount your panels produce will likely be less than that. For example, in sunny Taos, New Mexico – one of the best places for solar in the country – your system will produce about 14.5 kWh a day on average, which is pretty good! In Baltimore, Maryland, that same 3kW installation will produce about 10.8 kWh daily – about 25% less than in New Mexico. A 3kW installation in Eugene, Oregon (home to the University of Oregon) will produce just 9.8 kWh. As you can see, the further north you go, the less electricity your installation produces. Still, a 3kW system will cover about 1/3 to 1/2 of the average US home’s electricity usage. How many solar panels is that? You can see that, as the panel’s wattage increases (which means it can produce more electricity in a single instant), you need fewer panels. Obviously, the more efficient the panel, the higher the price. For most people, standard 265-watt panels fit the bill well, balancing performance and cost. How much space does that take on my roof? Residential solar panels are around 3 feet across by 5 feet tall, totaling 15 square feet. This means a 3 kW installation composed of 12 panels has a footprint of around 180 square feet. Although some people live in homes that are 180 square feet, it’s really not that big (heck, it’s called a tiny home for a reason). Unless you live in a tiny home yourself, you probably won’t have any issues fitting 12 panels up on your roof. How Expensive Is a 3 kW Solar System? This one’s easy to answer. The average cost to install solar in the US hovered around $2.93 per watt in 2016 according to the National Renewable Energy Lab (PDF page 32). At this rate, a 3 kW installation costs around $8,790 (though FYI, other sources cite the national average as a little higher, even up to $4.50 per watt. We’ll stick with NREL’s calculations as they are a reputable organization sponsored by the federal government). If you purchase your installation yourself through cash or a loan, you’re also eligible for the 30% federal tax credit, dropping your total investment down to $6,153. Let’s be honest – that’s pretty cheap already. You’ll spend about as much on a 10-year-old car. The real question is how much you can save by installing this 3 kW installation? As we mentioned earlier, the same solar panels will produce different amounts of electricity in different areas. Panels in the southwest produce more over their 25-year life than panels in other parts of the country, allowing you to save more overall. Electricity prices also play a role in how much you can save. The higher your utility’s prices, the more you can save by avoiding their electricity and producing your own. Even in Oregon, not known for happy weather, you can save thousands by installing a little 3kW installation. In Maryland, where electricity prices are high and climb higher every year at a brisk pace, a little 3kW install can save over $16k! That’s a pretty good return for just a $6,000 investment! If you’re interested in installing solar, no matter what the size, the first thing to do is call up a few installers and get some quotes. A 3kW installation can be a great investment, but as always, do your homework first for your own situation. If you have a 3kW installation, let us know how much money you’ve saved, or how much it produces, in the comments below!